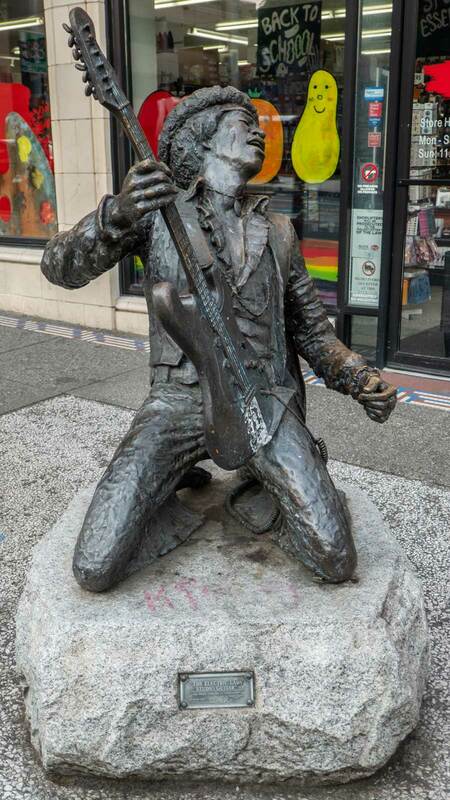 This list of concert venues, hotels, music stores, statues, and street art focuses on rock musicians from the Pacific Northwest. It goes back as far as Jimi Hendrix and continues into the decade when Seattle seemed like the center of the musical universe. Most of these locations are easily accessible via the Sound Transit light rail. The Edgewater is quite possibly North America’s most legendary hotel for rock stars and music fans alike. The hotel was in deep financial trouble in the early 1960s, when management decided to take a chance and host four young musicians from Liverpool, who were in town to perform at the Seattle Center Coliseum. That band was The Beatles! They were photographed fishing from the window of their suite, and the rest (as they say) is history. Since the mid-1960s, The Edgewater Hotel has been THE place to stay for visiting musicians and entertainers. If you can dish out more than $1,000 per night, you can even stay in room 272, also known as the Beatles Suite. There’s a Pearl Jam suite as well. Bummer alert: the hotel no longer allows fishing from the windows. Ann and Nancy Wilson saw their first Led Zeppelin concert at the Aqua Theatre in 1969. Three Dog Night was the opening act. A few years later, the Wilson sisters formed Heart and became arguably the most commercially successful Seattle band until the early 90s. 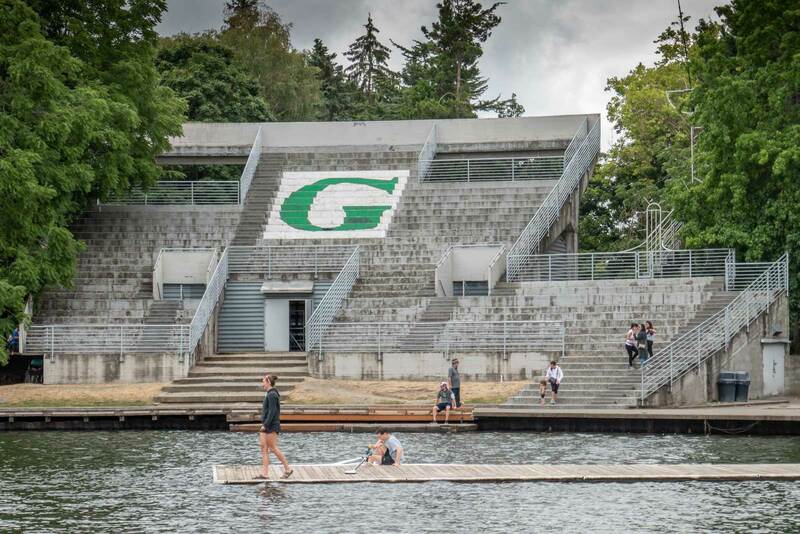 Later in 1969, the amphitheater closed (the Grateful Dead played the final show), but locals still flock to the lake during the warmer months. There is a timeline on the ground level opposite the bleachers commemorating Led Zeppelin’s first show in Seattle as well as the rest of the theatre’s history. Although Jimi Hendrix became a household name after performing in London, he grew up in just outside Seattle. His tomb is located at Greenwood Memorial Park Funeral Home in Renton and there’s a statue of him doing what he did best near the northeast corner of Broadway and Pine in Capitol Hill. Dating back to 1988, when CDs started to replace vinyl and cassette, Easy Street is an independent record store located in West Seattle. It also serves as a cafe and sometimes performance venue. Yes, this densely packed music store has hosted more than 500 in-store performances. Hometown heroes, Pearl Jam even released Live at Easy Street, an EP of their April 25, 2005 in-store performance. One of the last grand old saloons, The Central dates back to the 1890s, just three years after the great fire. Before Alice in Chains, Nirvana, and Soundgarden headlined arenas and festivals around the world, they all played at the Central. The venue is similar in size to the former-CBGB and still hosts bands. The walls are lined with photos and concert flyers from the days which led up to the brief period when Seattle seemed like the center of the musical universe. 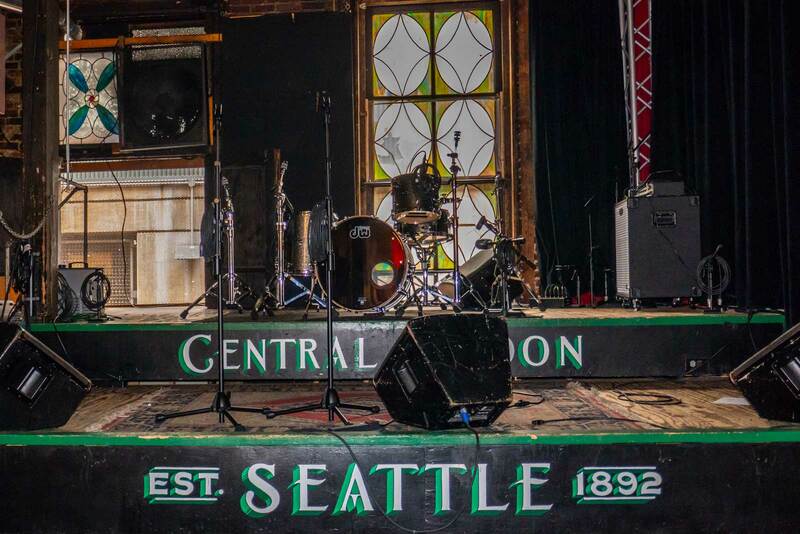 Re-bar opened in 1990, just as Seattle bands like Mother Love Bone and Soundgarden were gaining national recognition. Steve and Linda meet there in the movie Singles. The Mother Love Bone mural has moved to West Seattle, but despite all the post-2000 changes in Seattle, the venue is still going strong today. On October 22, 1990, Mookie Blaylock played their first show at the Off Ramp Cafe. The following year, they opened for Alice in Chains on their Facelift tour, signed a deal with Epic Records, renamed themselves Pearl Jam, and released their debut album, Ten, in honor of Mookie Blaylock’s jersey. The building is still there, but it’s been renamed El Corazon. If you search for it on Google Maps and find Funhouse, it’s the same building. 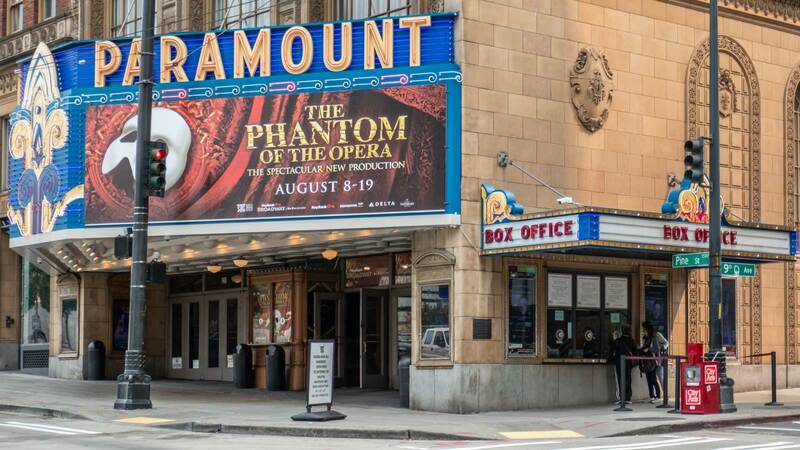 The Paramount has been on the National Register of Historic Places since 1974. Local bands like Heart, Nirvana, and Soundgarden recorded concert films at the venue. The Grateful Dead, Madonna, and Pink Floyd also played the Paramount on their way up to arenas and stadiums. The house Kurt Cobain spent his final days in is located along Lake Washington Blvd. in an upscale neighborhood, just one block west of Lake Washington. The house is hidden behind several trees. A tall wooden gate prevents entry to the property (unless you’re an adept climber). Fans still get their pictures taken in front of the gate, although the house has not been in the Cobain family since at least 2003. 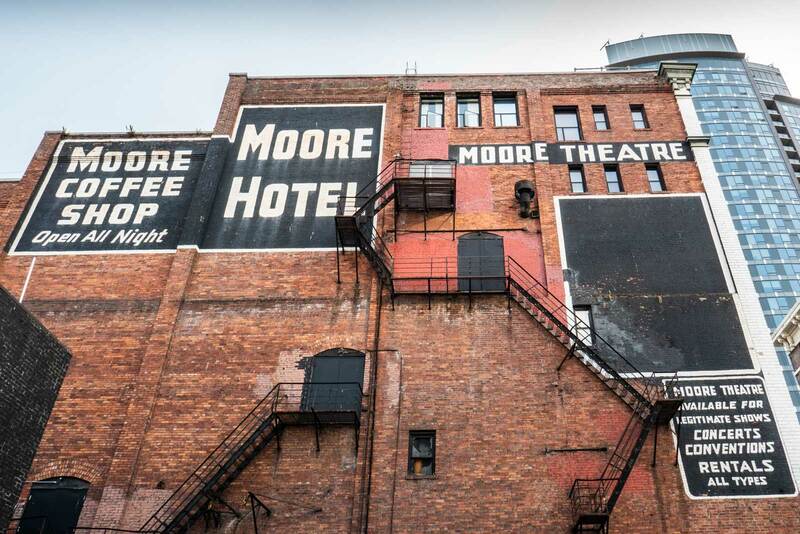 Dating back to 1907, the Moore is the oldest theatre still in use in Seattle. Alice in Chains, Pearl Jam, and Soundgarden played there before they headlined arenas and stadiums. Seattle supergroup, Mad Season released a concert film, Live at the Moore, during their brief tenure in 1995. The legendary Showbox dates back to 1939. Jazz legend Duke Ellington played here as did blues guitarist Muddy Waters. 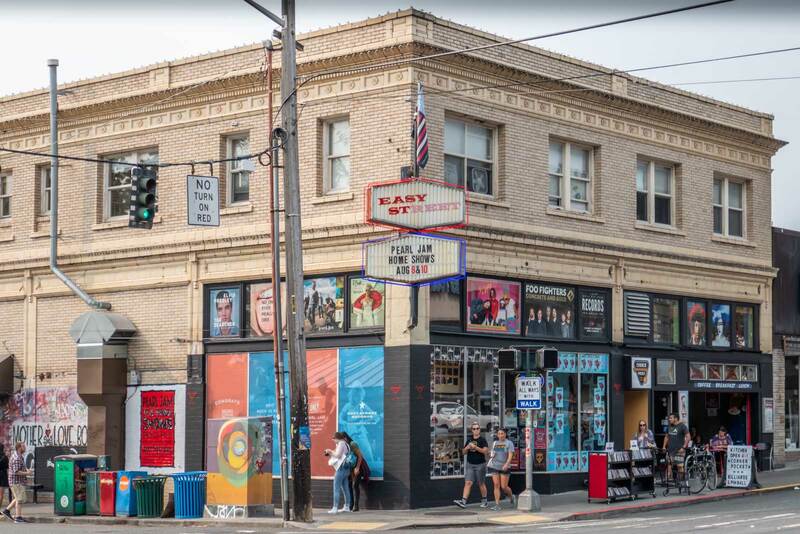 The Ramones played here before their Seattle offsprings like Mudhoney, Pearl Jam, and Soundgarden made it a household name. 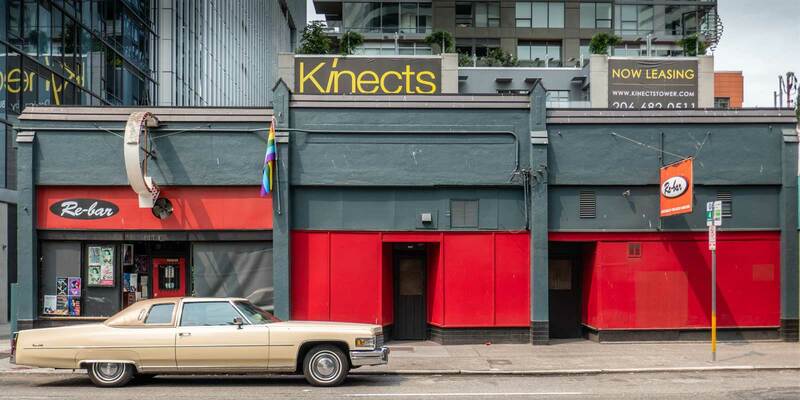 Get to the Showbox soon before it gets demolished and replaced with high-rise condominiums! 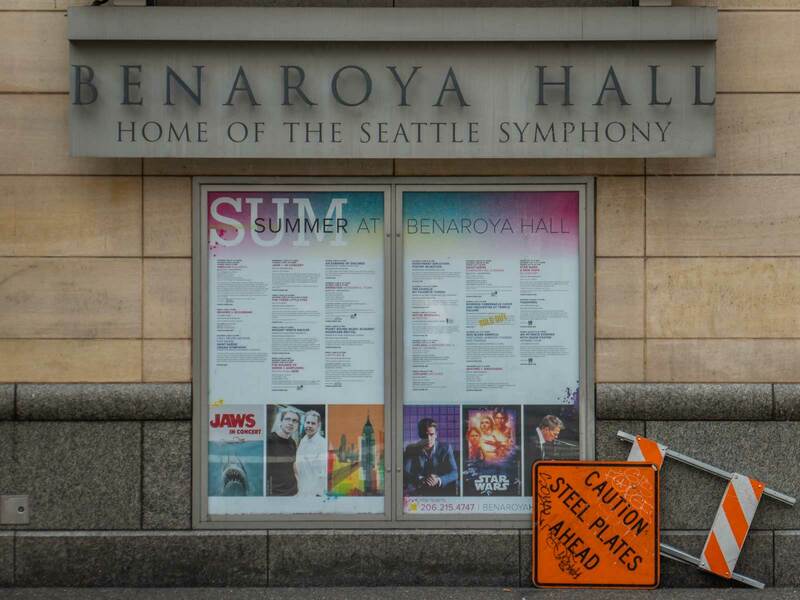 Benaroya Hall is home to the Seattle Symphony. On October 22, 2003, Pearl Jam played a mostly-acoustic show in the venue to raise money for YouthCare, a non-profit Seattle-based charity. It was released the following year on vinyl and as the two-disc set, Live at Benaroya Hall. Fun fact: the building sits directly above the Great Northern Tunnel. The Sound Transit Light Rail runs through the tunnel and stops under the venue (University Street Station). 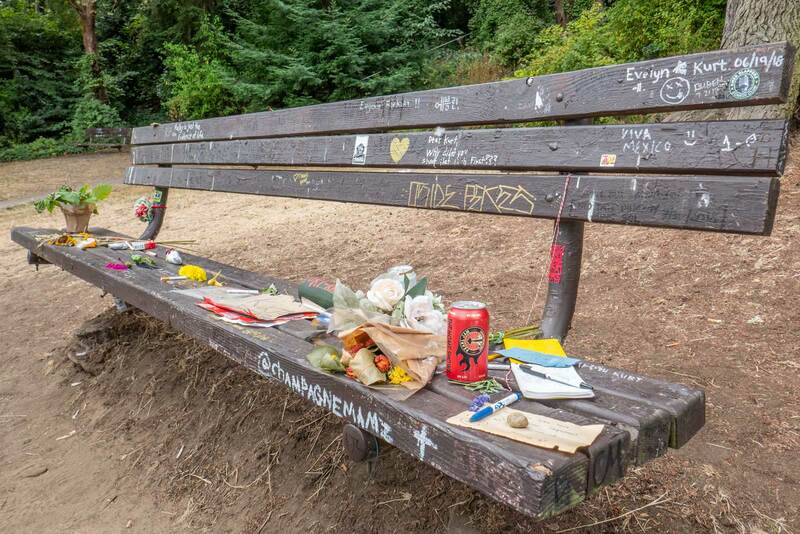 Located next to the house that Kurt Cobain spent his final days in, Viretta Park has multiple benches covered with Nirvana-related graffiti. It’s a somber setting in an upscale neighborhood along Lake Washington. Fans leave gifts ranging from commonplace offerings like cigarettes and books to more eccentric items like bootleg CDs, booze, and other groceries. Want to keep the conversation going? Let’s connect via my social links below. Like this post and want to share? Have a friend or relative who loves all things Seattle? Pin it! This post was sponsored by Visit Seattle. All pictures were shot with a Panasonic Lumix ZS100 4K Point and Shoot Camera. I love Seattle. I really miss being there.. 🙁 Your description about there is very well comprehended. I have never been to Seattle but it looks like a nice and a highly recommended place to visit most especially to all musics lovers. Oh wow Seattle looks amazing! I have never been but it was so interesting to read more about it! Great photos! Oh this is perfect, Brian, and I’m totally feeling the photographs here man! Killer tour Brian. I’d expect no less from you! I would love to walk in the footsteps of some of these musical giants! I am hoping to visit Seattle soon-looks like such a cool city. I would love to check out some of these landmarks when I do. I’ve always wanted to visit Seattle and love music but didn’t realize how much music history the city had! A definite must do for me now. This is super cool! I live in Vancouver and have been to Seattle a few times. But sadly, I never go much farther than Pike Place. Will have to add these cool places to my list for my next visit. Thanks for sharing! Sounds like Seattle is the place to visit if you are a rock n roll fan! 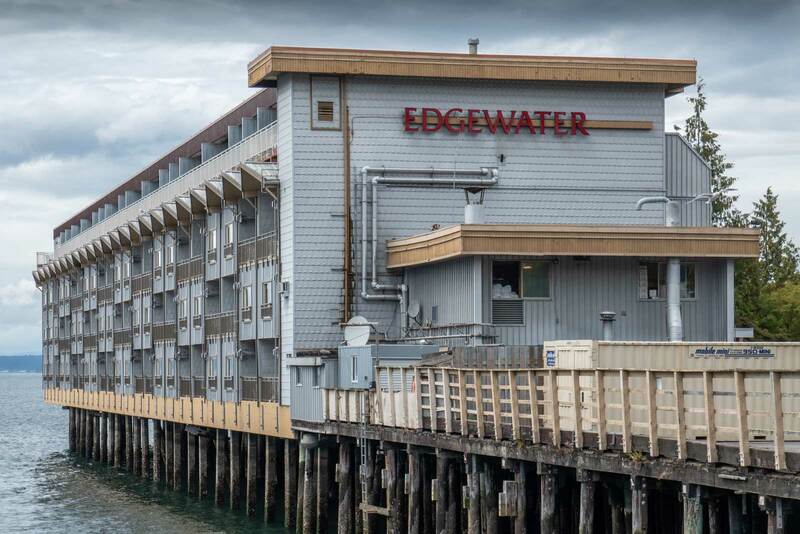 I love the location of the Edgewater Hotel.